Pretty Walnut Mason & Hamlin Model B 1981, fine instrument, rarely played, sublime Mason & Hamlin Tone, action just regulated, perfect, pinblock, bridges, hammers, dampers. All excellent condition working parts. Warranty! Free LI/NYC delivery. All else continental USA only $475. Questions call Sonny direct at 631-475-8046. 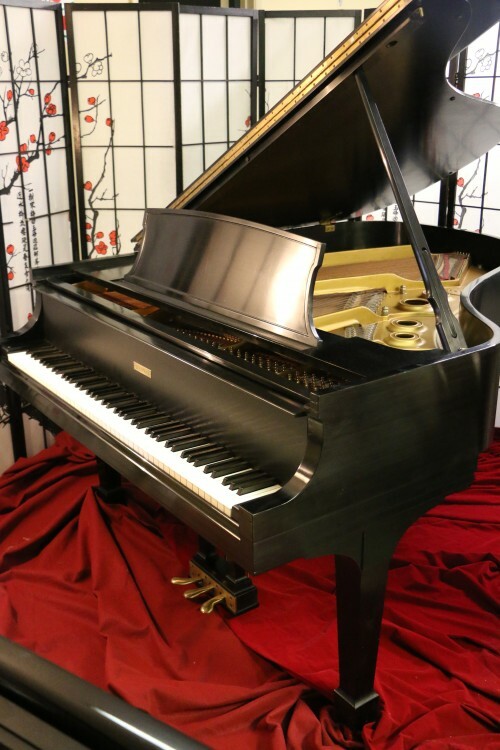 Magnificent Steinway Grand Model A 6’1, incredible, sublime, rich tone and action response. Rebuilt and refinished around 15 years ago. New action parts/whippens, hammers, shanks, bushings, dampers, strings, pins, pin block, reguilded plate. No playing time since rebuild. Was also refinished semi-gloss ebony. Original key tops. This piano is magnificent through and through. Lots of power, character and gracefully elegant as well. Warranty. Questions call Sonny Direct at 631 475-8046. Free LI/NYC delivery. $475. all else continental USA. Questions? Call Sonny Direct at 631 475-8046. 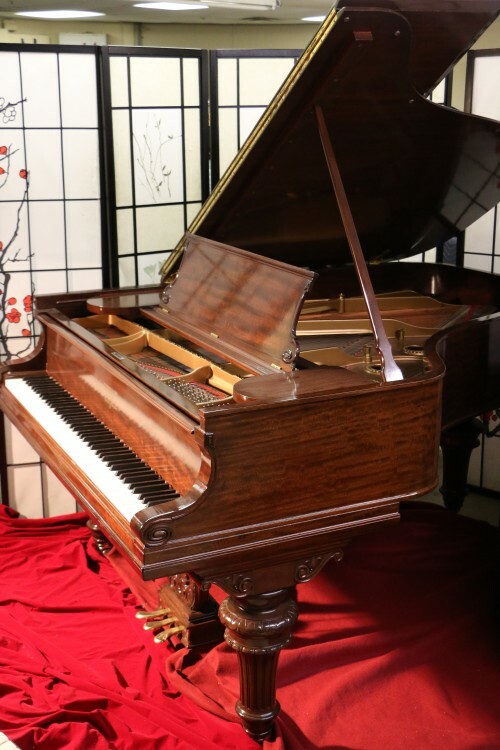 Sonny’s Piano TV – Sohmer Baby Grand Piano “Cupid Model” 5’1″ 1932 Rebuilt – See Video Tour! 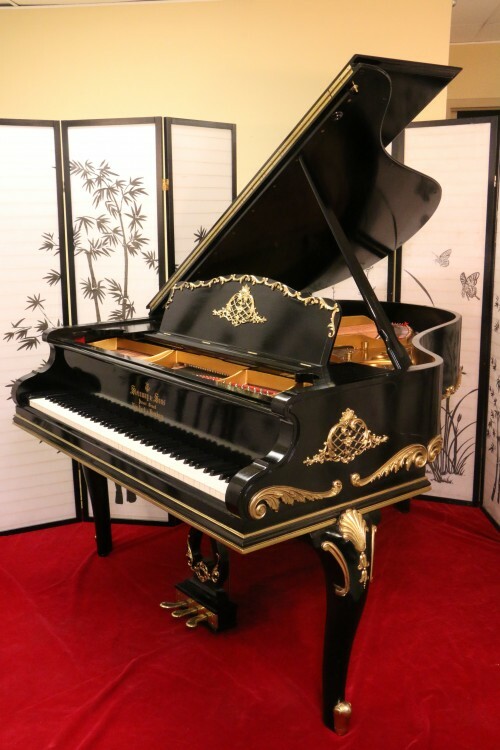 Legendary Sohmer Pianos, made in Astoria Queens-NYC right down the street from Steinway Factory, often called the poor man’s Steinway, rich, sublime, robust, clear tone, original ivories, new strings, pins, dampers, plate was re-gilded(repainted)this one is called a “Cupid Model” because piano is shaped like a heart originally built in 1932, rebuilt about 10 years ago. Original Mahogany finish, just received a “French Polish” several coats of hand rubbed varnish applied over original finish to give piano an even sheen and a like new look. Free LI/NYC delivery. All else continental USA only $475. We deliver to Alaska, Canada, Caribbean. Comes with warranty. Questions? Call Sonny Direct at 631 475-8046. Absolutely gorgeous. 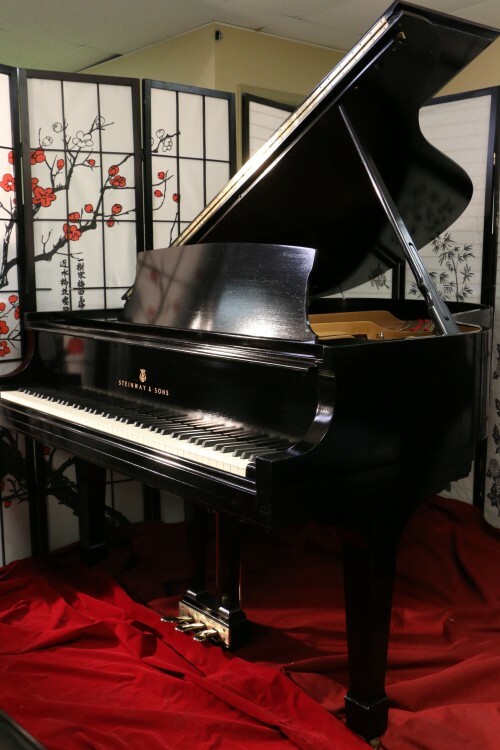 Very rare, collectors item, Fisher 5’6″, 1926, Grand Piano. Recently refinished and refurbished. Original ivory keys, all excellent original condition parts. Warranty, free NYC/LI delivery. All else continental USA only $475. Questions? Call Sonny direct at 631 475-8046. Pretty two tone mahogany Harrington Baby Grand Piano made by the great NYC piano manufacturer Hardman & Peck during the heyday of piano manufacturing in this country 1925. Mahogany with lighter mahogany inlays, primo condition, furniture is about to be touched up and receive a French Polish (several coats of varnish applied over original finish to even out the sheen and make piano look like new) action just regulated, full rich, robust sound. Warranty and Free Delivery LI/NYC. All else continental USA only $475 for delivery and set up in customers living room. Questions? Call Sonny Direct at 631 475-8046.